When his former colleague Peter Sullivan dies, Ben Markovits inherits unpublished manuscripts about the life of Lord Byron-including the novels Imposture and A Quiet Adjustment. 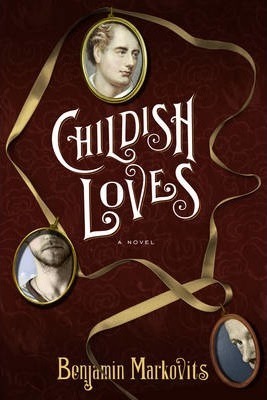 Ben's own literary career is in the doldrums, and he tries to revive it by publishing and writing about his dead friend, whose reimagining of Byron's lost memoirs-titled Childish Loves-may provide a key to Sullivan's own life and tarnished reputation. Acting as a literary sleuth, Ben sorts through boxes of Sullivan's writing; reads between the lines of his scandalous, Byron- inspired stories; meets with the Society for the Publication of the Dead; and tracks down people from Peter's past in an effort to untangle rumor from reality. In the process, he crafts a masterful story-within-a-story that turns on uncomfortable questions about childhood and sexual awakening, innocence and attraction, while exploring the lives of three very different writers and their brushes with success and failure in both literature and life.